The TIP PAPER, spol. s.r.o. company was established in 2005 as a subsidiary company of the TIP TRADING spol. s.r.o. company. The company’s chief activities are manufacture and sales of paper sacks with various modifications. 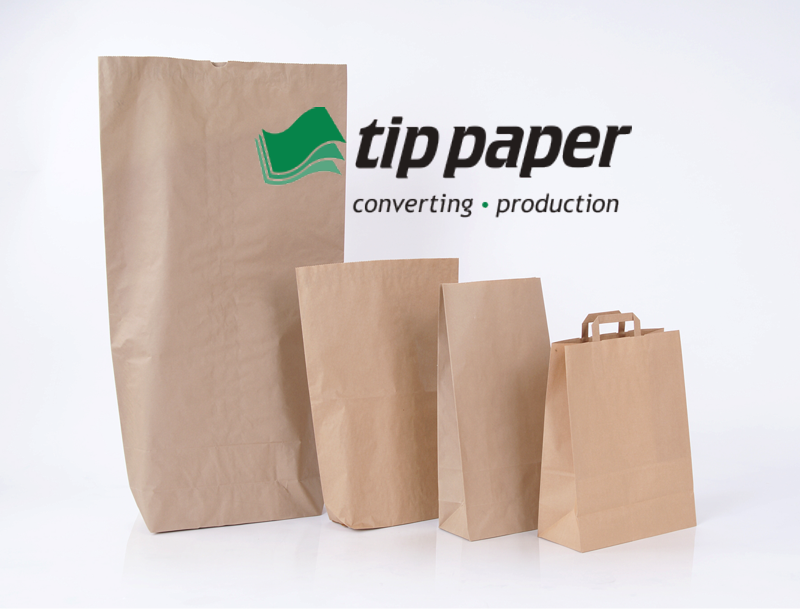 Our paper sacks are from quality sack paper from leading European manufacturers. Customer satisfaction is our priority and we provide a complete service. Accommodating behaviour, prompt deliveries and perfect quality are a matter of course. All for very affordable prices. Besides the sacks we also offer paper bags and carrier bags with handles. We can also cut paper into sheets, wind it onto paper rolls or cut, stack and package precise formats. We offer quality ecological packaging with attractive design for very affordable prices. TIP PAPER, spol. s r.o. is a modern, dynamic company offering you complete services in relation to deliveries of paper sacks.